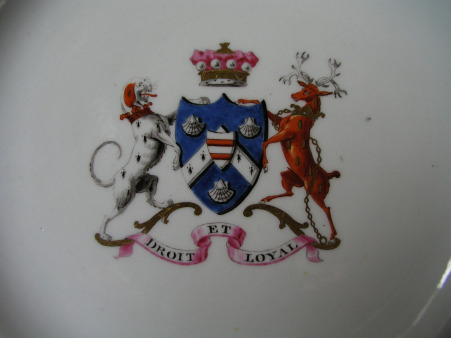 A Rare Early Coalport Armorial Plate c.1805-10, hybrid hard-paste porcelain, lobed-edge form, painted with a family crest in the centre, inscribed " Droit Et Loyal" (Just and Loyal), gilded rim. 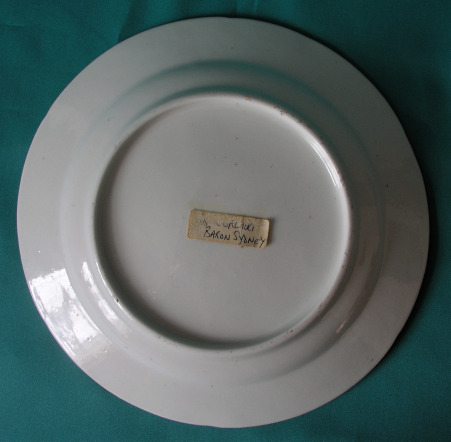 Dimensions: 20.5cm. Unmarked*. Excellent condition. 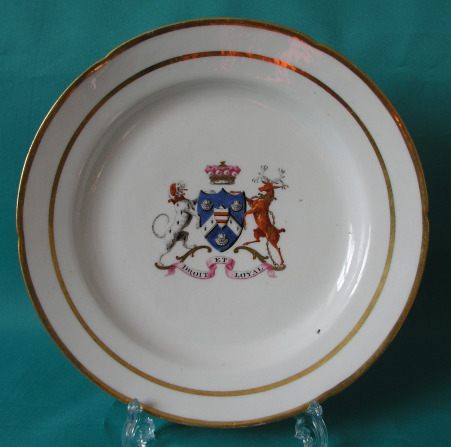 * There is a paper label on the back "Coalport, Baron Sydney" which probably refers to the crest.